A newly published study from Yale University tackles the issue of value in cancer research, recommending a new paradigm for research that focuses on improving efficacy and value, as well as ensuring population health impact and generating new knowledge. 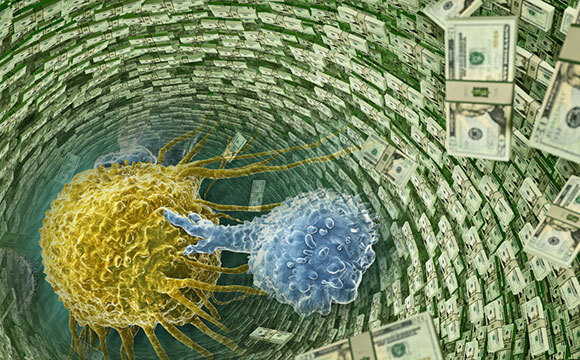 The $100 billion federal government investment in the “War on Cancer,” has produced only relatively modest progress in cancer research advances, according to Yale School of Medicine researcher Dr. Cary Gross, and his collaborator Dr. Ezekiel Emanuel. The pair authored a recent viewpoint article in the Journal of the American Medical Association, tackling the issue of value in cancer research. Gross and Emanuel recommend a new paradigm for research, one that focuses on improving efficacy and value, as well as ensuring population health impact and generating new knowledge. Specifically, they call for changes to the design of clinical trials, charging the cancer research community to set a target of reducing the cost of trials by more than 50%. The team also recommended that all research data — including both clinical trial data as well as data derived from large care-delivery systems – be made available in a safe and responsible manner to the scientific community, to allow investigators to continue to reap new knowledge from data even after the initial studies are complete. Finally, they recommend that researchers be held more accountable for the dollars that are at their disposal, in order to decrease waste caused by studies that are not initiated, completed, or published in a timely manner. Be the first to comment on "A New Paradigm for Cancer Research, One That Focuses on Improving Efficacy and Value"